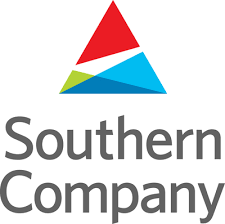 On April 15th, Southern Company announced a dividend increase of 3.3%. This will increase their dividend per quarter from $0.60 to $0.62. It is payable on June 6th for shareholders of record on May 20th. The new quarterly dividend represents an annualized dividend amount of $2.40 per share as compared to the current annualized dividend amount of $2.48 per share. I am currently holding 24.223 shares of Southern Company. With this 3.3% increase, it will add $1.96 to my Projected Annual Dividend Income and thats not taking into account the compounding factor! I am pleased with my position here. I am glad that I was able to move this position into a tax shelter back last year. It is able to grow tax free in that account. Currently, it is priced above my cost basis but I would love to be able to add to it someday. Do you currently hold any stock in Southern Company? What do you think of this dividend increase? Just let me know in the comments.